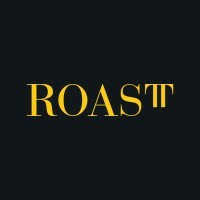 ROAST is a fiercely independent online performance agency. We do smart, informed digital, focused on delivering Return On Ad Spend for our clients. ROAST is part of TIPi Group, a network of specialist digital agencies. Maria Casino’s app needed to establish its presence in an already competitive and saturated market. The clients primary aim was to deliver an efficient mobile strategy to acquire high quality users on a limited budget across five markets: UK, Norway, Denmark, Sweden and Finland. ROAST’s mobile strategy involved building a smart framework that would allow the testing of various platforms, partners and inventories and their differing capacities to drive efficient acquisitions. In addition, ROAST devised a digital social strategy across Facebook and Twitter where engagement and performance was known to be strong, as well as programmatically via DSPs to gain access to larger pools of inventory. Through regular granular analysis of requested sub site and app ID placements, as well as scrutiny of user behaviour post install, ROAST was able map the seasonality of user propensity to install and deposit in addition to establishing a pool of top performing partners that could consistently deliver below the FTD goal. Measurement and analysis was key to the project. The team focused on providing critical feedback to the client on varying creatives produced and regularly optimised the campaign using information from weekly performance reviews to improve spend efficiency.